Successful companies operating in mature industries that embrace incremental change find themselves on a path that gets narrower and narrower. Eventually, they reach the end of the path, and by then, their customers have forsaken them for a new offering that nobody saw coming. In cases where companies do take disruptive risks, it’s often because they’re backed into a corner and there’s no other choice. But companies that try to differentiate themselves by focusing on incremental innovation instead of game-changing, disruptive innovation will differentiate themselves right out of business. They simply cannot afford to wait until they get backed into a corner. Companies need to be consistently making bold moves, even at the very peak of their success. This is exactly the sort of thing that new start-ups and small-scale enterprises are best at. But, it’s an approach to business that can be learned and applied just as effectively by large organizations and industry incumbents—in fact, by anyone who’s willing to challenge the status quo wherever they are. Globalization, accessibility to an overwhelming array of products and information, and technological innovation are rapidly changing the marketplace in significant ways. As a result, consumers are changing the way they buy, and businesses need to change the way they compete. The Internet and the infrastructure of massive connection have already reinvented many industries, but we’ve barely scratched the surface. We’re still surrounded by countless products, services, and business models that are built on the logic of the past. Many of the decisions that define these businesses were made years ago, in a different age, and a different context. Winning organizations in the next decade will be those that discard these old business decisions and remake the market landscape by implementing ideas that are not easily conceived of or replicated by a competitor. As much as we might desire it, the future we face will not be predictable. We are living in a fast-changing and uncertain time––a disruptive age. And we are entering this new global order with a way of seeing and thinking better suited for a world now several centuries behind us. A world that could be explained in simpler terms, when you could expect and carefully plan for gradual shifts in the status quo. But the scale of the challenges we face and the accelerating speed of innovation demands a new approach to innovation leadership––a new way of opening minds to uncomfortable solutions. A way of forcing improbable insights and fostering counterintuitive ideas. To thrive in this new era, organizations and institutions, executives and entrepreneurs need to rethink the habits that have made them successful in the past, and challenge the conventional wisdom and industry models that have defined their world. 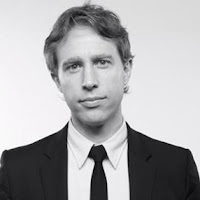 Luke Williams is a globally recognized authority on innovation leadership. He works with organizations on challenges ranging from creating new products and services, to transforming organizational processes and behaviors. He is professor of Innovation and executive director of the Berkley Entrepreneurship Center at New York University's Stern School of Business and a fellow at frog, one of the world's most influential innovation companies. Williams is a sought-after commentator on disruptive innovation, entrepreneurship and cultural change. He is invited to speak worldwide, and his views are regularly featured in Bloomberg BusinessWeek, Fast Company, GQ, The Atlantic, The Wall Street Journal, NPR and MSNBC. 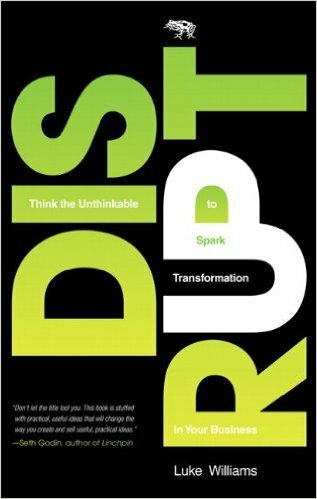 He is the inventor of over fifty United States patents and the best-selling author of Disrupt: Think the Unthinkable to Spark Transformation in Your Business.